We like providing information and tips about visiting Kilkenny and other highlights of the South East, such as Cashel, Waterford and Clonmel. 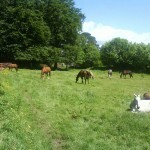 Within easy access of the park, guests can experience horse riding, fishing, golf and other outdoor pursuits. In recent years, Kilkenny has been nominated as one of the top 10 Tourism Towns in Ireland, one of the top 10 Foodie Towns in Ireland, voted friendliest city in Europe (+ 9th in the world) by Conde Nast Traveller and cleanest town awards in 2013, 2014 and 2015. Plus, there’s plenty of great places to visit including…. Located in a Victorian brewing building, the Smithwicks Experience gives visitors a ‘multi-sensory and interactive experience’ of what life has been like at the St Frances Abbey Brewery over the past 300 years, and a little lesson in the ale’s history. Visitors will be fully immersed in the history of Smithwick’s, Ireland’s oldest beer brand, the amazing heritage of the Smithwick’s family and its place in Kilkenny, a city steeped in history and brewing tradition. Ireland’s Medieval Mile will stretch from Kilkenny Castle to St Canice’s Cathedral, including everything in between, and aims to “unlock the past” and position the historic city as a “must see” destination for domestic and overseas visitors. The highlights on Ireland’s Medieval Mile include Kilkenny Castle, Kilkenny Design, the National Craft Gallery, St. Mary’s Church and graveyard, Graces Castle, Rothe House, The Tholsel, the Smithwicks Experience, the Black Abbey, The Watergate Theatre, Kyteler’a Inn and St. Canice’s Cathedral and Round Tower. Kilkenny Castle stands dramatically on a strategic height that commands a crossing on the River Nore and dominates the ‘High Town’ of Kilkenny City. Over the eight centuries of its existence, many additions and alterations have been made to the fabric of the building, making Kilkenny Castle today a complex structure of various architectural styles. Go back in time to a 12th Century castle, remodelled and restored and set in 1830’s splendour and extensive parklands: includes art gallery and playground. St Canice’s Cathedral and Round Tower are an essential part of the structural heritage in the vibrant medieval city of Kilkenny. This ecclesiastical site was founded in the 6th century and named after St Canice. The Round Tower is the oldest standing structure in Kilkenny City. Tourists can enjoy climbing the Round Tower capturing great views of the city (weather permitting). St Canice’s Round Tower is one of only two Round Towers that people can climb in Ireland! 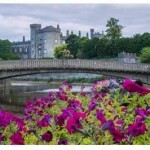 Kilkenny is recognised as the heritage capital of Ireland – and for great reason. Kilkenny City and County are full of beautiful and engaging heritage attractions. These include St Canices Cathedral & Round Tower, St Mary’s Cathedral, Rothe House & Garden, the Town Hall. Kilkenny is famous for its many Festivals. We have TradFest in March, Rhythm & Roots Music Festival in April, Gospel Music Festival in May, Cat Laughs Comedy Festival in June, Craft Beer festival in July, Arts Festival in August, Savour Food Festival in October, Kileconomics + Subtitle European Film Festival in November. Take your pick! This one of a kind Kilkenny ghost tour takes you trough the medieval capital of Ireland. Kilkenny with its narrow cobbled lanes, remnants of its city walls and with its mystic charm, it should be no surprise that Kilkenny is bursting with tales of the paranormal. Its people have told stories for generations, handed down to become far more than hearsay. Kilkenny’s ghostly tales all have one very important thing in common they are all based around fact and arise from genuine historic tragedies. Countryside Leisure Activity Centre, Bonnettsrath (Less then 10 mins from city centre) Offers a range of activities including Clay Pigeon Shooting, Indoor Rifle Target Shooting and Archery. All equipment provided and full instructions given. Perfect for all Hen and Stag Parties. Set in a stunning 80 acre woodland, Castlecomer Discovery Park boasts an exciting range of recreational and educational activities. This ‘young’ park opened in 2007 and comprises scenic walking trails, lakes, boating, high-ropes and low-ropes adventure activities, a fascinating multi-media coal mining museum, orienteering trails, schools education programme, design craft workshops, Elf & Fairy village and an award winning café. The longest twin ziplines in the Republic of Ireland are due to open in time for the 2016 summer season. There’s a whole day of fantastic activities to be experienced for visitors of all ages so come see for yourself! Open 10am to 6pm, seven days a week, year round, with over 50 exhibits, Animal Encounter Zone, Tropical Walk-through Habitat, indoor and outdoor Picnic Area, Snack Bar, Souvenir Shop and Soft Play Area, we can keep the entire family entertained and educated all at once! And if you can’t come to us…then we can come to you! Why not check out our Zoo to You options! Great for schools, shopping centres, family fun days, parties….the possibilities are endless!